Hello Judy. Beautiful You is perfect in the French backdrop! This looks very arty!!! Thank you for joining us at Rubber Dance for the colour challenge this month. 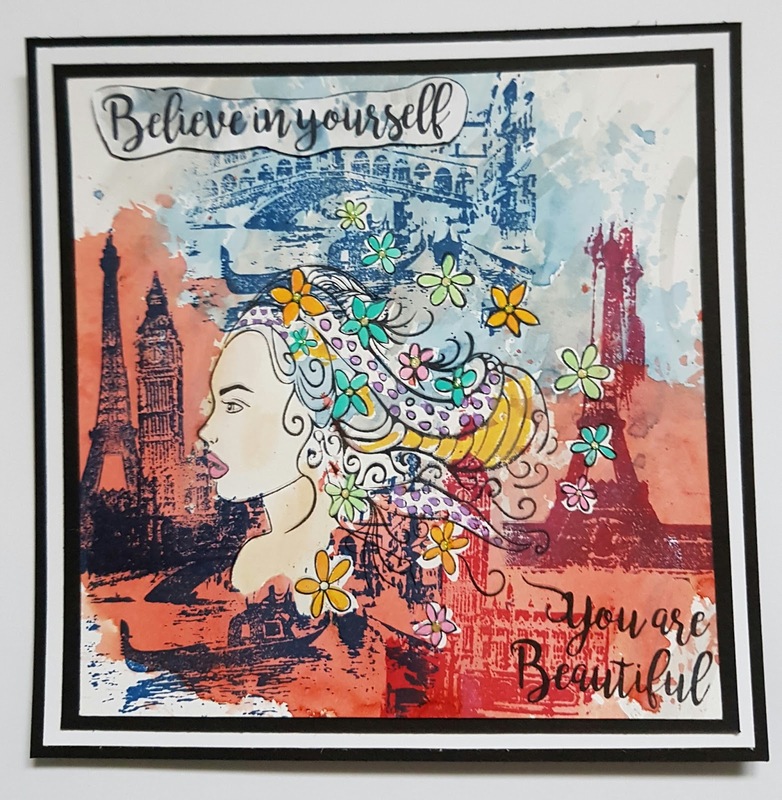 Amazing creation Judy, love the way you have incorporated all elements, texture and colors. Thanks so much for joining s at Rubber Dance Color Challenge this month.